This example demonstrates that the stock's value is determined by the relationship between the investor's required rate of return on equity, kt, and the projected growth rate of dividends, g .
• As the difference between k and gc widens, the value of the stock falls. • As the difference narrows, the value of the stock rises. • Small changes in the difference between ke and gc cause large changes in the stock's value. • The stock pays dividends, and they grow at a constant rate. • The constant growth rate, g , is never expected to change. • k must be greater than gc. If not, the math will not work. Professor's Note: When doing stock valuation problems on the exam, watch for words Like "forever, " "infinitely, " "indefinitely, " etc. This will tell you that the infinite period DDM should be used. Also watch for words like "just paid" or "recently paid. " These will refer to the last dividend, DQ. Words like "willpay" or "is expected to pay" refer to D,. A firm may temporarily experience a growth rate that exceeds the required rate of return on the firm's equity, but no firm can maintain this relationship indefinitely. We must assume the firm will return to a more sustainable rate of growth at some point in the future. Since the assumptions of the infinite period model (constant g and ke > g ) don't hold, the infinite period DDM cannot be used to value growth companies that are experiencing very rapid growth that will not continue forever. • Project the size and duration of the supernormal dividend growth rate, g*. • Using this supernormal growth rate, estimate dividends during the supernormal period. • Forecast what the normal (constant) growth rate will be at the end of the supernormal growth period, g .
• Project the first dividend at the resumption of normal growth. • Estimate the price of the stock at the end of the supernormal growth period. Consider a stock with dividends that are expected to grow at 20% per year for four years, after which they are expected to resume their normal growth rate of 5% per year, indefinitely. The last dividend paid was $1.00, and k£ = 10%. Calculate the value of this stock. Although we increase D3 by the supernormal growth rate of 20% to get D^, D^ will grow at the constant growth rate of 5% for the foreseeable future. This property of D4 allows us to use the constant (infinite) growth model formula with D4 to get a time = 3 value for all the expected dividends from time = 4 onward. Many finance textbooks solve supernormal growth problems like this one by calculating the expected dividends for one more period than we have here. If we were to use the infinite dividend discount model with D5 to get a time = 4 value, and add the present value of this to the present values of the four expected dividends, Dx to D4, we would get the same answer as with the above technique (except for differences due to rounding). Professor's Note: A common mistake with supernormal growth problems is to calculate the future value, PV^ in this example, then forget to discount it back to the present. Don't make this mistake because CFA Institute is sure to present this common error as one of the choices. This example reflects the fact that high growth firms normally don't pay dividends during their supernormal growth phase. The firm will have three years of extraordinary growth during which no dividends will be paid. Beginning in year 4, earnings will stabilize and grow at a sustainable 5% rate indefinitely, and the firm will pay out 50% of its earnings in dividends. Given E, = $1.64 and k = 10%, calculate the value of this stock. Find the value of the stock at the end of year 3. Remember, P3 is the value of dividends four through infinity at the end of year 3, one period before the firm resumes normal growth. 1. The company pays dividends, and there are two or more growth rates that are not zero. To work these problems, you find the PV of all the projected dividends, and the PVofPn = Dn+1 / (k-gc). 2. The company initially pays no dividends but then pays out some or all of its earnings as dividends at the resumption of normal growth. In this type of problem, you find the PV of the future price, Pn = Dn+1 / (k — g ), which is determined by the delayed dividend stream. Professor's Note: I am placing subscript "c" under the constant growth gc to help distinguish it from other growth rates. CFA Institute will not likely do this, so you should be sure that you identify which growth rate is the constant one on the exam when you are working with different growth rates. LOS 56.d: Show how to use the DDM to develop an earnings multiplier model and explain the factors in the DDM that affect a stock's price-to-earnings (P/E) ratio. • Dj/Ej = the expected dividend payout ratio. • g = the expected constant growth rate of dividends. Since we started with the equation for the infinite period (constant growth) DDM, the P/E ratio calculated in this way is the P/E ratio consistent with the infinite period dividend discount model valuation. We can see from the formula that, other things equal, the P/E ratio we have defined here will increase with: (1) a higher dividend payout rate; (2) a higher growth rate; or (3) a lower required rate of return. 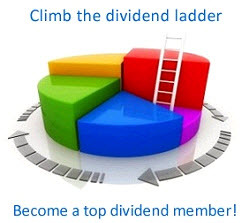 Does this mean that a firm can increase its stock price by increasing its dividend payout ratio? Not necessarily, because other things will not remain the same. Increasing the dividend payout ratio will decrease the growth rate of earnings and dividends, since the firm will be investing less of its earnings for future growth. We will address the problem of estimating the growth rate for a firm and illustrate this negative relationship between the payout ratio and the return on equity as g = ROE x (1 — payout ratio), which is also g = ROE x retention ratio. Because of this tradeoff, the value of the firm could increase or decrease in response to a change in the expected dividend payout ratio. A firm has an expected dividend payout ratio of 60%, a required rate of return of 11%, and an expected dividend growth rate of 5%. Calculate the firm's expected P/E ratio. If you expect next year's earnings (Ej) to be $3.50, what is the value of the stock today? Expected P/E ratio: 0.6 / (0.11 - 0.05) = 10. 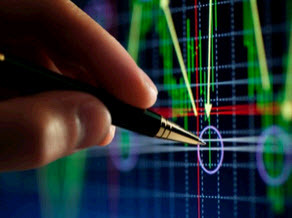 Value of the stock: (EjXP/Ej) = ($3.50)(10) = $35.00. • The main determinant of the size of the P/E ratio is the difference between k and g, which, as shown earlier, has a significant impact on stock price. • The relevant P/E ratio you should study is the expected or leading P/E ratio (Pq/Ej), not the historical or lagging P/E ratio (Pq/E0). • The P/E ratio is just a restatement of the DDM, so anything that influences stock prices in the DDM will have the same effect on the P/E ratio. • Earnings are historical cost accounting numbers and may be of differing quality. • Business cycles may affect P/E ratios. Currently reported earnings may be quite different from your expectations of earnings in the future (Ej). • Also, like the infinite growth model, when k < g, the model cannot be used. LOS 56.e: Explain the components of an investor's required rate of return (i.e., the real risk-free rate, the expected rate of inflation, and a risk premium) and discuss the risk factors to be assessed in determining an equity risk premium for use in estimating the required return for the investment in each country. • The real risk-free rate (RFRrea|), which is determined by the supply and demand for capital in the country. The real risk-free rate is the rate investors would require if there were absolutely no risk or inflation. • An inflation premium (IP), which investors require to compensate for their expected loss of purchasing power. • A risk premium (RP) to compensate investors for the uncertainty of returns expected from an investment. Since different investments have different patterns of return and different guarantees, risk premiums can differ substantially. Professor's Note: A real rate is a rate that does not include inflation, while a nominal rate does. If a rate is not specified as being a real rate on the exam, it is safe for you to assume that it is a nominal rate. The risk premium, RP, is a premium demanded for internal and external risk factors. Internal risk factors are diversifiable and include business risk, financial risk, liquidity risk, exchange-rate risk, and country risk. External risk factors, known as market risk factors, are macroeconomic in nature and are nondiversifiable. Calculate the nominal risk-free rate if the real risk-free rate is 4% and the expected inflation rate is 3%. Professor's Note: Notice here that RFR is a nominal rate. Security valuation models and their variables are essentially the same all over the world. However, there are significant differences in the determination of these variables. To estimate the required rate of return for foreign securities, we can calculate the real risk-free rate, adjust it for the expected inflation rate, then determine the risk premium. The equity risk premium for foreign securities is estimated with consideration of five types of risk that will differ substantially from country to country. 1. Business risk represents the variability of a country's economic activity, along with the degree of operating leverage for firms within the country. 2. Financial risk will be different in countries throughout the world. 3. Liquidity risk is often found in countries with small or inactive capital markets. 4. Exchange rate risk, the uncertainty in exchange rates, must always be taken into account when considering foreign investments. 5. Country risk arises from unexpected economic and political events. LOS 56.f: Estimate the dividend growth rate, given the components of the required rate of return incorporating the earnings retention rate and current stock price. Assuming past investments are stable and dividends are calculated to allow for maintenance of past earnings power, the firm's earnings growth rate, g, can be defined as the firm's earnings plowback or retention rate (RR) times the return on the equity (ROE) portion of new investments. Note that if RR is the earnings retention rate, (1 — RR) must be the firm's dividend payout rate. Professor's Note: Recall that we used the DuPont method to decompose ROE into its component parts: net profit margin x asset turnover x financial leverage = ROE. You can use these components, along with the retention rate, to calculate ROE x RR = g, the implied (sustainable) growth rate. Let's work through an example to illustrate why g equals RR x ROE for a stable but expanding company. Assume ROE is constant and that new funds come solely from earnings retention. Calculate the firm's growth rate, given that the firm earns 10% on equity of $100 per share and pays out 40% of earnings in dividends. Period 1 per share earnings = EPSj = ROE x equity per share = (0.10)($100) = $10 per share. Period 2 earnings per share = (0.10)($100) + (0.10)($6) = $10.60 per share. Period 2 dividend per share = D2 = (0.40)($10.60) = $4.24 per share. Analysis of growth-. The stock's price will grow at a 6% rate, just as earnings and dividends will. The growth rate here, gc = ROE x RR, is called the internal ox sustainable growth rate—the rate of growth sustainable without resorting to external sources of capital (relying on retained earnings only). • If a firm's net profit margin increases, ROE will increase. • If ROE increases, g, which is (ROE)(RR), will increase. • If g increases, the difference between k and g will decrease. • If k - g decreases, the price of the stock will increase. LOS 56.g: Describe a process for developing estimated inputs to be used in the DDM, including the required rate of return and expected growth rate of dividends. 1. An estimate of the stock's future cash flows, which are dividends and future price. 2. A dividend growth rate, g.
3. A discount rate, which is the appropriate required return on equity, k.
Once the present value of the asset has been estimated, compare it to the current market price. Assume you are analyzing the XYZ company. Its current stock price is $18.00. After reviewing XYZ's financial data, you find that last year's earnings were $2.00 per share. The firm's ROE is 10%, and you expect it to stay that way for the foreseeable future. The firm has a stable dividend payout policy of 40%. The current nominal risk-free rate is 7%, the expected market return is 12%, and XYZ's beta is 1.2. Calculate the value of XYZ and indicate whether this stock is a "buy" based on your estimate. ©Professor's Note: Rounding differences may occur, not unlike those you might encounter on the exam. LOS 57: Describe how structural economic changes (e.g., demographics, technology, politics, and regulation) may affect industries. 1. Demographics. Demographic factors include age distribution and population changes, as well as changes in income distribution, ethnic composition of the population, and trends in the geographical distribution of the population. As a large segment of the population reaches their twenties, residential construction, furniture, and related industries see increased demand. An aging of the overall population can mean significant growth for the health care industry and developers of retirement communities. 2. Lifestyles. Examples of the effect of changing lifestyles on industry growth prospects are the increases in meals consumed outside the home and catalog sales, as the percentage of families with two employed spouses has increased. Consumption patterns are also affected by current perceptions of what is "in style" and trends in consumer tastes in recreation, entertainment, and other areas of discretionary expenditure. 3. Technology. Changes in technology have had very important consequences for many industries over time. Change in the technology of transportation and communications has certainly had important effects on these industries, both in terms of products and services consumed but also in their production and pricing. Technological advances in computers and microprocessors in general have lead to sweeping changes in how inventory is managed and how products are distributed in many industries, particularly in the retailing industry. 4. Politics and regulation. Changes in the political climate and changes in specific government regulations can also have significant effects on particular industries. The imposition of tariffs on steel will lead to increased domestic production and profitability; the rise of terrorist activity has helped some industries and imposed costs on others, such as the airline and shipping industries; and requirements of a minimum wage and the widespread expectation of employment benefits packages have affected hiring practices and production methods, especially in labor intensive industries. Regulation of the introduction and sale of everything from new drugs to genetically engineered crops has important implications for many industries as well. 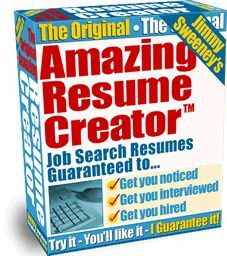 This resume template has been created to help you follow the sections and structure of the resume outlined in this video training, feel free to play around with it. 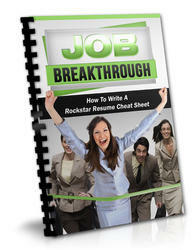 It will enhance you to deliver a winning resume that is guarantee to get you an interview to your potential employer, so take the time to customize it and make it yours.